Do you struggle to take good iPhone photos in the sun? If so, you’re not alone! Shooting in sunlight often causes problems with exposure and harsh shadows that can ruin your pictures. But with a few simple techniques you can take control of these problems and use the sun to your advantage. In this short article you’ll discover ten quick and easy tips for taking incredible iPhone photos on a sunny day. 1. Shoot with the sun behind you to provide full and even illumination on your subject. 2. After tapping to set focus, adjust the exposure by swiping up or down on the screen to correct any problems with brightness. 3. Shoot with the sun to one side of your subject to create interesting side-lighting and shadows. 4. Create powerful silhouettes by positioning your subject in front of the sun and shooting towards the light. 5. Use the sun to backlight semi-transparent objects, such as leaves and flowers, to reveal wonderful color, texture and detail. 6. 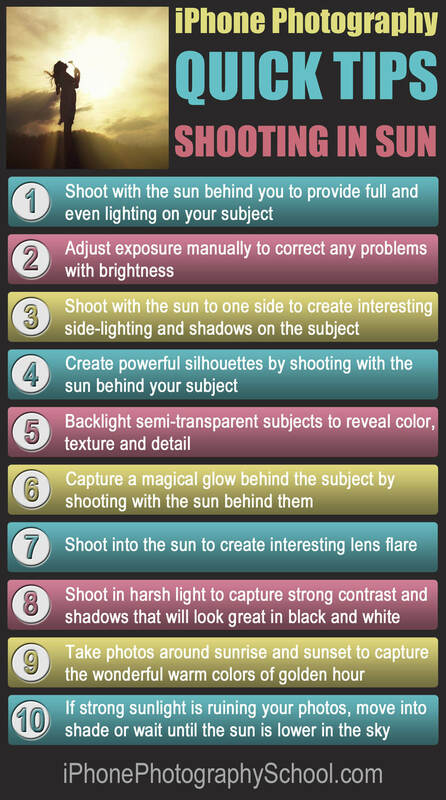 Capture a magical glow around your subject by shooting with the sun behind them. 7. 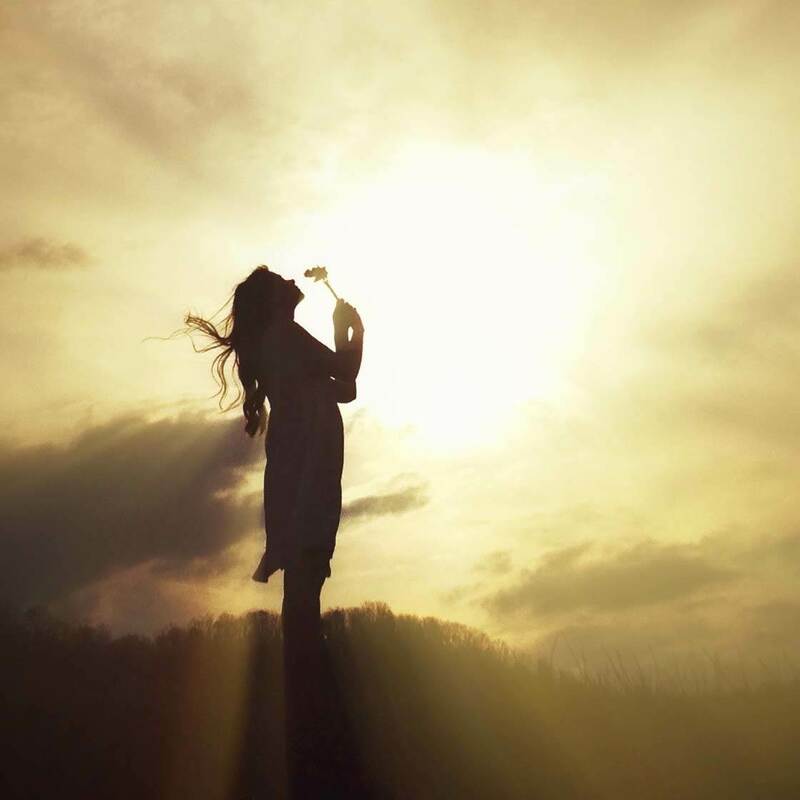 Shoot into the sun to create beautiful and dramatic lens flare. Placing an object partially in front of the sun will help ensure the bright light doesn’t overpower your photo. 8. Shoot in harsh light to capture strong contrast and shadows that will look great in black and white. 9. Shoot around the hours of sunrise and sunset to capture the wonderful warm colors of golden hour. 10. If strong sunlight is ruining your photos, move your subject into the shade or wait until the sun is lower in the sky. To learn more about taking amazing iPhone photos in sunlight, check out our in-depth tutorials where you’ll discover more great tips and techniques, as well as plenty of inspirational photos taken on sunny days!